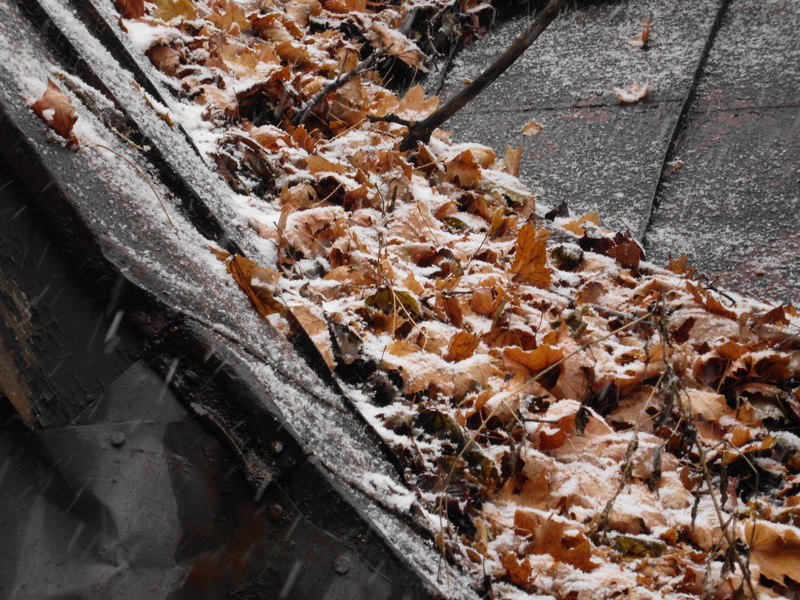 This entry was posted in New Writing, Poetry and tagged haiku, leaf, literature, poetry, Schwaner, snow on November 27, 2013 by Jeff Schwaner. The half moon rides high in the ninth hour of morning. To a question I am not ready to ask. This memory melt, nor river run over. This entry was posted in New Writing, Poetry and tagged contemporary American poetry, frost, literature, poetry, Schwaner on November 24, 2013 by Jeff Schwaner. Draft of a new poem “Cooper’s Hawk” in the Brand New Stuff section. This entry was posted in New Writing, Poetry and tagged Cooper's Hawk, hawk, literature, poetry, Schwaner on November 23, 2013 by Jeff Schwaner. And with a mind as blank as a black window. Of this world instead of street lights. The brightest, most distant ones sit. Nick in the blackness is millions of years extinguished. In the words of a life ended in fire. your voice, these words—I will take it, I will demand it. This entry was posted in Favorite Poets, New Writing, Poetry and tagged P.H. 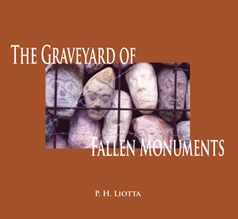 Liotta, Peter Liotta, poetry, Thanksgiving on November 21, 2013 by Jeff Schwaner. 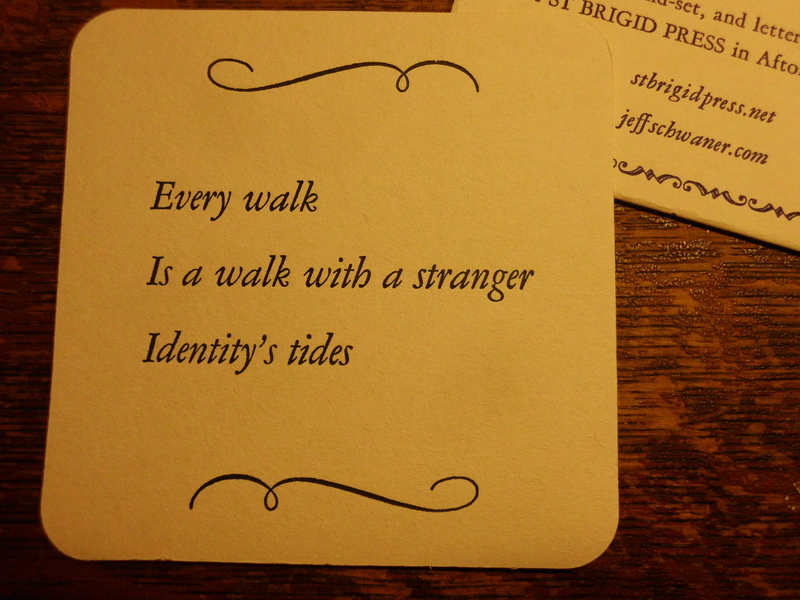 The last of the 8-haiku series, printed letterpress by St Brigid Press as a limited edition drink coaster set. Available on the Books page here or at St Brigid Press. This entry was posted in Book Design, Poetry, Projects and tagged contemporary American poetry, drink coaster, haiku, letterpress, literature, poetry on November 19, 2013 by Jeff Schwaner. This entry was posted in Book Design, Poetry, Projects and tagged Cape Cod, design, drink coaster, Emily Hancock, haiku, haiku drink coaster, haiku sequence, letterpress, literature, poetry, Schwaner, St Brigid Press, Vanishing Tracks on November 18, 2013 by Jeff Schwaner.